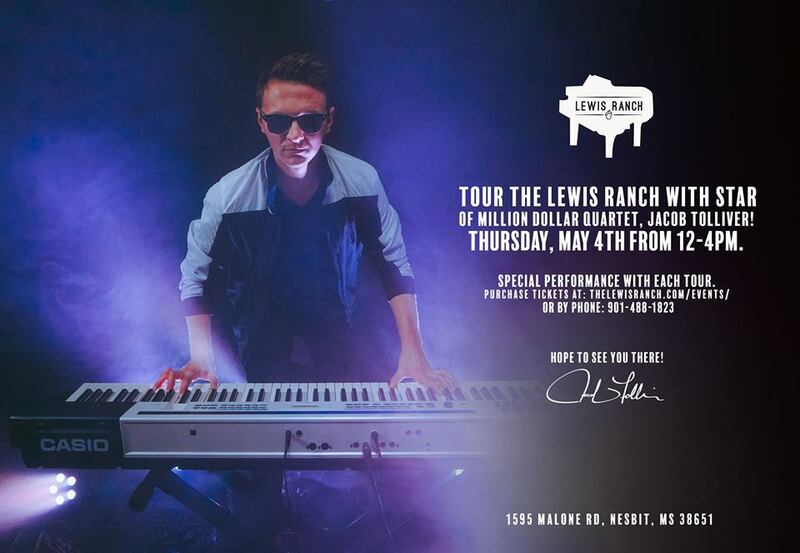 You are here: Home / News / Tour The Lewis Ranch With Jacob Tolliver Thursday, May 4, 2017! Tour The Lewis Ranch With Jacob Tolliver Thursday, May 4, 2017! Join us at The Lewis Ranch this Thursday, May 4, 2017, for special tours with Jacob Tolliver! Jacob plays Jerry Lee in the “Million Dollar Quartet” television series! Each tour includes a very special performance by Jacob Tolliver who will be rockin’ The Killer’s baby grand piano!